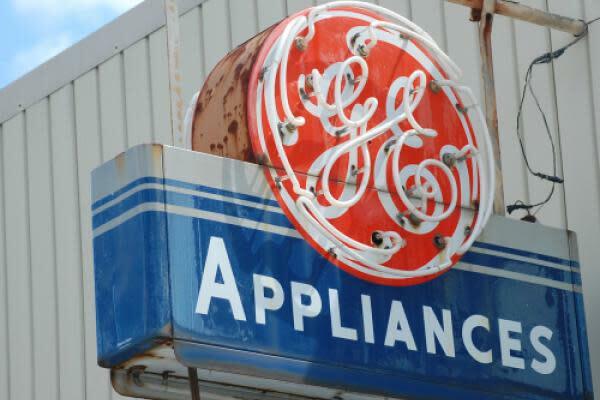 Despite some support from Street analysts in the form of upgrades, General Electric Company (NYSE: GE) stock remains below the $10 mark, with downside potential to $5 per share, according to Gordon Haskett. Gordon Haskett's John Inch maintains an Underperform rating on General Electric with an unchanged $10 price target. GE would need to completely dismantle itself for a SOTP model to be valid — an event which can't occur, as the company as a whole is required to maintain a large enough revenue and asset base to support GE Capital's massive debt securities, the analyst said. GE's "excessive" financial leverage in its major segments like health care and aviation make it unrealistic for the units to trade at a similar EV/EBITDA multiple to peers, Inch said. Investors and analysts don't have access to the true magnitude of GE's total and embedded liabilities on and off the balance sheet, which could be north of $100 billion, he said. The stock should be valued on a free cash flow basis, the analyst said. The company generated $5.6 billion in adjusted free cash flow before dividends and could come in at $4.5 billion this year, he said. Adjusting for $1.2 billion of free cash generation the company is selling or has already sold and $600 million in estimated Baker Hughes dividends and free cash flow leaves the company with a free cash flow of around $2.2 to $2.7 billion, or 31 cents per share, according to Gordon Haskett. Applying a peer yield valuation of roughly 5-6 percent suggests applying a 17 to 20 times multiple, which generates a downside case of $5 per share, Inch said. GE shares were up 0.86 percent at $9.37 at the time of publication Monday.